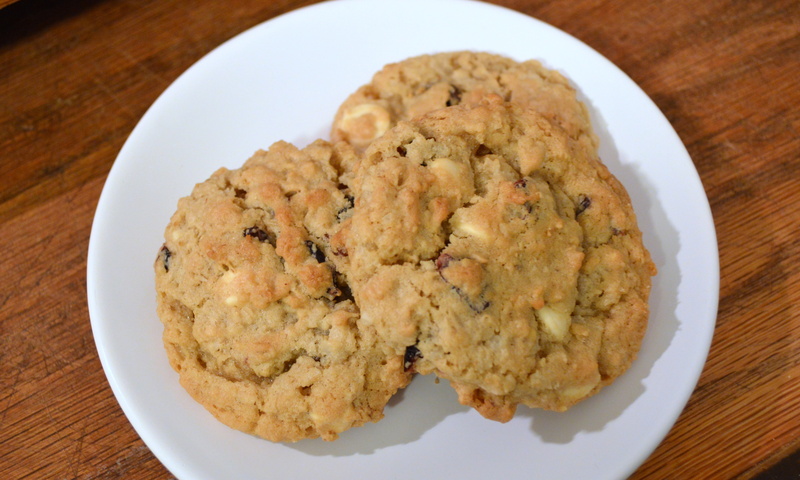 I really love the combination of white chocolate and cranberries in an oatmeal cookie. 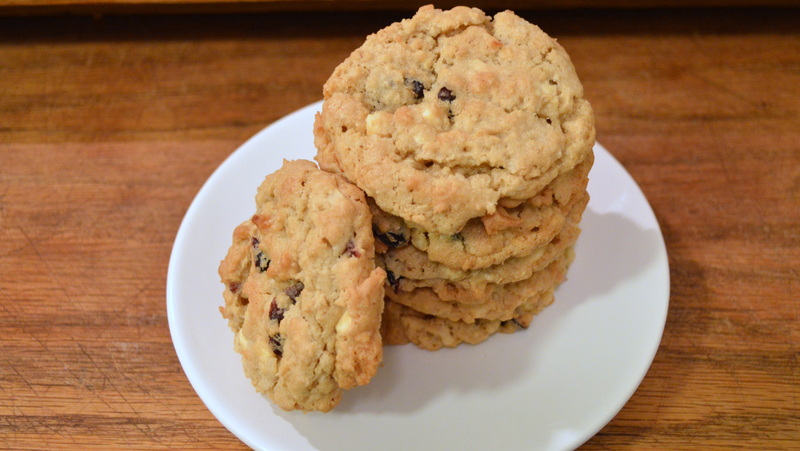 I’ve tried a couple of recipes and I liked them but decided to tweak one of my loaded oatmeal cookie recipes and think they turned out pretty darned good. In a small bowl stir together the flour, baking soda and baking powder. Set aside. Cream the butter with the two sugars until light and fluffy. Add the vanilla and the eggs and mix just until the eggs are incorporated. Add the dry ingredients, in thirds, to the creamed mixture, mixing well between additions. Stir in the oatmeal, coconut, white chocolate chips and cranberries, mixing until the ingredients are evenly distributed. Scoop by heaping teaspoonfuls, or use a medium cookie scoop, and place on an ungreased cookie sheet. Bake for 10-15 minutes. Leave cool on the cookie sheet for about 2 minutes before removing to a cooling rack. I usually take them out when the edges are a toasty, golden brown and the center still looks a wee bit undone. The cookies continue to bake for a few minutes after they are taken out. Just a quick note, I think the next time I’m actually going to try 3 cups of oatmeal. They seemed to need just a wee bit more oatmeal to make them perfect. Enjoy!